Comfort and quality unite with this New Era stretch mesh ball cap featuring a super cool Old Nation woodgrain embroidery. 100% cotton in the front 2-panels and 100% polyester spacer mesh in the mid/back panels. 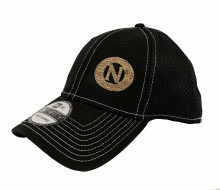 Click the button below to add the ON WOODGRAIN LOGO FLEXFIT HAT to your wish list.